Vital purpose of this lecture is to presentation on Recovery System. 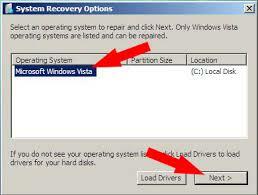 The Recovery system Options menu contains several tools, such as Start-up Repair, that will let you recover Windows from a serious error. This group of tools is on your own computer’s hard disk and around the Windows installation disc. This lecture also briefly discuss on Failure classification, Storage structure, Log-Based recovery, Recovery with concurrent transactions, Failure with loss of nonvolatile storage, Recovery and Atomicity, Advanced recovery techniques, Shadow paging, Buffer management and remote backup systems etc with example and explanation.